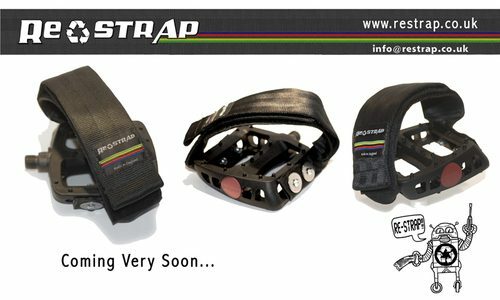 Yorkshire, England-based Restrap is looking to solve the problem people have with Powergrip-style foot retention; no adjustability. The Velcro enclosures solve that problem. Restraps are made from heavy-duty recycled nylon and come with all the necessary hardware. More information soon.